Measuring Range: 0.5, 1, 2.5, 5, 10, 20, 30, 50, 100 Tonnes. Serial output RS232C on request. SM4-DIGITAL is a Pancake Load Cell designed for tension and compression applications, with integrated digital display. 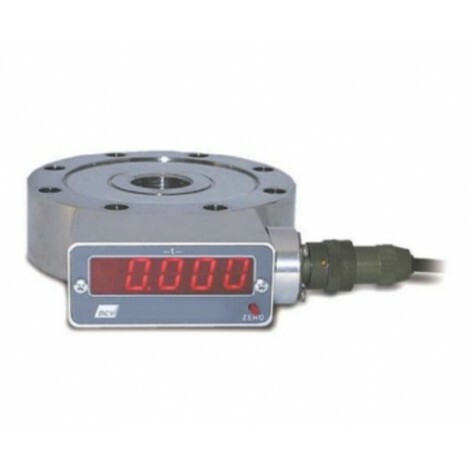 The Pancake Load Cell offers high accuracy, long term stability, High mechanical resistance, low Deflection.